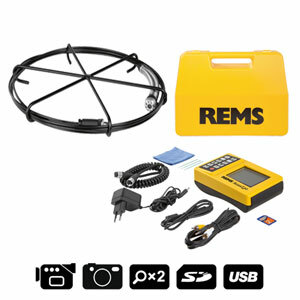 This web site is for people in the UK who want to buy a REMS tool, power tool, press tool, pipe threader machine or equipment. 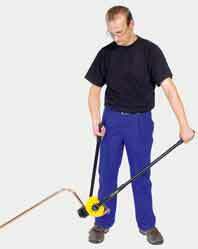 Practical single-hand tool for exact tube bending up to 90Â°. Ideal for on-site work. Soft copper pipes, also thin-walled Ã˜ 10â€“22 mm, Ã˜ 3/8â€“7/8", s â‰¤ 1 mm. Coated soft copper tubes Ã˜ 10â€“18 mm, Ã˜ 3/8â€“5/8", s â‰¤ 1 mm. Coated steel tubes of pressfitting system mapress C-STAHL Ã˜ 12â€“18 mm. Soft precision steel tubes Ã˜ 10â€“18 mm, s â‰¤ 1 mm. Multi-layer composite tubes Ã˜ 14â€“32 mm. REMS Swing â€“ bending tubes where they are installed. Universal use for many tubes. Fast operation through patented quick-acting in-feed forward and release. Proven, reliable ratchet feed. Ideal also for coated tubes. 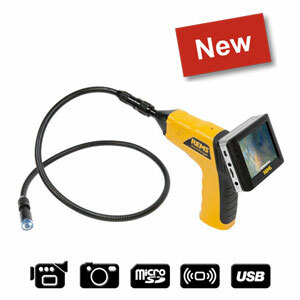 Universal, compact electric tool for cold bending of pipes and tubes up to 180Â°. Can be used anywhere, without vice. For workshop, job site, repair. Hard, half-hard, soft copper tubes, also thin-wall Ã˜ 10â€“35 mm, Ã˜ 3/8â€“13/8". Coated soft copper tubes, also thin-wall Ã˜ 10â€“18 mm. Stainless steel tubes of pressfitting systems Ã˜ 12â€“28 mm. Coated steel tubes of pressfitting system mapress C-STAHL Ã˜ 12â€“28 mm. Soft precision steel tubes Ã˜ 10â€“30 mm. Steel pipes DIN 2440 Ã˜ 1/4â€“3/4". Electric conduit DIN EN 50086 Ã˜ 16â€“32 mm, multi-layer composite tubes Ã˜ 14â€“40 mm. REMS Curvo â€“ wrinkle-free bending. Universal for many pipes and tubes. Instant use without setting. Fast and creep speed operation for precise bending. Rapid change of bending and back formers. 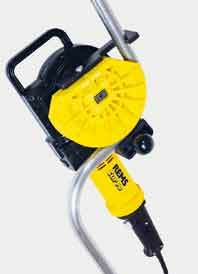 Universal, robust hand tool for cold bending of pipes and tubes up to 180Â°. Can be used anywhere. For workshop, job site, repair. Hard, half-hard, soft copper tubes, also thin-wall Ã˜ 10â€“22 mm, Ã˜ 3/8â€“7/8". Coated soft copper tubes, also thin-wall Ã˜ 10â€“18 mm. Stainless steel tubes of pressfitting systems Ã˜ 12â€“18 mm. Coated steel tubes of pressfitting system mapress C-STAHL Ã˜ 12â€“22 mm. Soft precision steel tubes Ã˜ 10â€“20 mm. Electric conduit DIN EN 50086 Ã˜ 16â€“20 mm. Multi-layer composite tubes Ã˜ 14â€“32 mm. 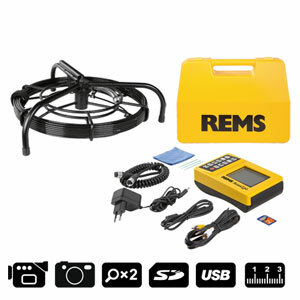 REMS Sinus â€“ wrinkle-free bending. Universal for many tubes. Easy bending through long lever arms. 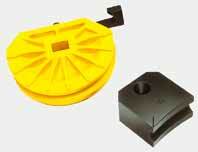 Selectable lever positioning ensures optimum bending position and power transmission. 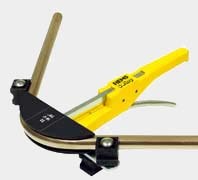 Only one type of bending and back formers for REMS Sinus and REMS Curvo. Bending formers and back formers - form and pressure resistant, in high-strength, high-slide, glass-fibre reinforced polyamide. Optimum mating of bending formers and back formers ensures sliding appropriate to the material without cracks and wrinkles. Angle scale 0 to 180Â° provided on each bending former and mark on the back former ensure precise bending. Rapid change of bending formers and back formers.